When it comes to collaborations, Maison Martin Margiela stays more busy than ever before these days. After having previously worked with G-Shock and Converse, the fashion brand announces this week a Japan exclusive luggage collection with Globe-Trotter, as reported by Selectism. Once again Margiela applies its signature “emblematic trompe-l’œil (French for “deceive the eye”) concept print” that has also been placed on the Converse sneakers. The outcome is a range of suitcases inspired by Globe-Trotter pieces from the 1920′s to 1950′s with a distinct used vintage look. The collection releases this December at Margiela’s Isetan Shinjuku store in Tokyo. 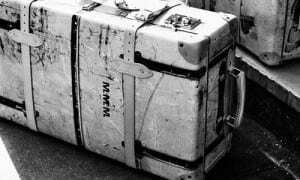 Globe-Trotter for Maison Martin Margiela Luggage Collection is a post by David Fischer on Highsnobiety.